As summer starts to come to a close over the next month or so, and we begin moving into fall, it is important to make sure that you don’t start to neglect your home’s air conditioning system as it winds down and prepares to go into hibernation until next spring. Making sure that you shut down your air conditioning system properly this fall is one of the most important things you can do to ensure that when temperatures start to rise again in the coming spring, your home’s AC system is going to be ready to meet the demand. No matter what kind of air conditioning system you have in your home, there are certain things that need to be done in order to make sure it is ready to jump back into action when spring rolls back around, and scheduling end of summer AC maintenance in New Jersey with an experienced HVAC professional is the best way to ensure those things are done. 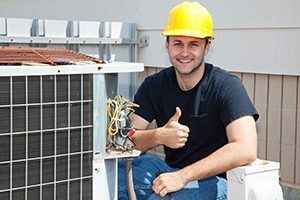 In an effort to highlight the importance of end of summer air conditioning maintenance services for New Jersey homes and businesses, our team of experienced Edison air conditioning service professionals have taken the time to put together this short list detailing just a few of the most important reasons to invest in air conditioning tune-ups at the end of the hot season. One of the most important aspects of your end of summer maintenance is in keeping your system cleaned out. Without a proper cleaning every so often, you can easily find yourself with a wealth of dust, dirt, leaves, and other debris that can seriously slow down your system and inhibit its performance. When contaminants like these start to build up in your system, they cause your system to work harder in order to keep your home cool, and this loss in efficiency can cost you big time on your monthly energy bills. Investing in end of summer maintenance will ensure that your home’s air conditioning system is set up to run as efficiently as possible when you have need of it again once the spring rolls back around. Just like having maintenance performed on your car, maintenance on your air conditioning system is a great way to help reduce the risk of future breakdowns. Even the smallest issues within your home’s air conditioning system can cause serious problems if they aren’t taken care of in a timely manner, and one of the best ways to catch these small issues before they have a chance to inflict any further damage on your system is through professional AC maintenance from a trusted local air conditioning company. If you are like most homeowners, it is likely that you spend almost 90% of your time indoors, with a great portion of that time being spent inside your home. Despite what you might think, the air inside your home can be up to 100 times more contaminated than the air outside your home, which makes it extremely important to ensure your home’s air conditioning system isn’t making things worse. Making sure that your air conditioning system is cleaned out and has fresh filters will help to make sure that you and your family aren’t breathing in the same contaminated air that has been cycled and recycled throughout your home. This aspect of end of summer maintenance can be especially important if you have anyone in your home that is sensitive to allergens and airborne contaminants, like those with asthma or any severe allergies. If you are ready to schedule your End of Summer AC maintenance tune-up, give us a call today at 732-287-6300 or fill out our online request form.